Brandeis University Press, 9781611680812, 276pp. 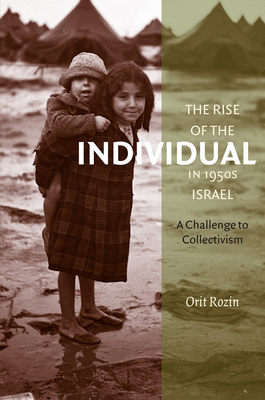 In this sharply argued volume, Orit Rozin reveals the flaws in the conventional account of Israeli society in the 1950s, which portrayed the Israeli public as committed to a collectivist ideology. In fact, major sectors of Israeli society espoused individualism and rejected the state-imposed collectivist ideology. Rozin draws on archival, legal, and media sources to analyze the attitudes of black-market profiteers, politicians and judges, middle-class homemakers, and immigrants living in transit camps and rural settlements. Part of a refreshing trend in recent Israeli historiography to study the voices, emotions, and ideas of ordinary people, Rozin’s book provides an important corrective to much extant scholarly literature on Israel’s early years. ORIT ROZIN is a lecturer in the department of Jewish History at Tel Aviv University.